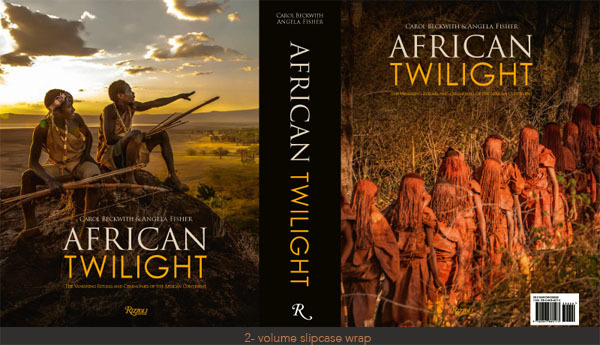 African Twilight is the two-volume magnum opus of the two pioneering documentary photographers of African tribal cultures and ceremonies--a world that is quickly vanishing before our very eyes. Now, nearly two decades after these photographers' landmark African Ceremonies and with a greater sense of urgency, this book completes the journey, covering disappearing rituals and ceremonies from some of the most inaccessible corners of the African continent, to create the definitive statement on this subject. 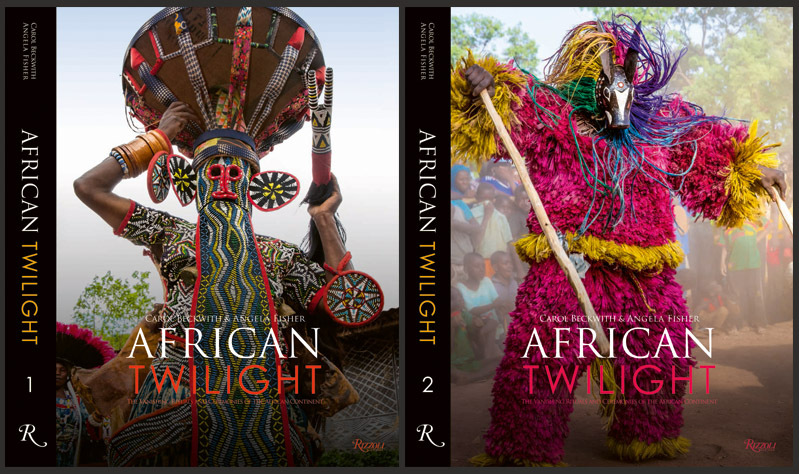 This new landmark volume will set the standard for capturing a visual testament to the vanishing traditions of African peoples. No other book like this exists or can ever be created again, as more than 40 percent of what has been documented here has already vanished. For the last 15 years of their four decades of African fieldwork, world-renowned photographers Carol Beckwith and Angela Fisher have continued their journey across Africa, seeking out remote communities to record the sacred ceremonies, powerful art forms, and boundless creativity of the people living there today. This ground-breaking book is a testament to these vanishing moments and peoples. All of the photography is previously unpublished. $150.00 U.S., $200.00 Canadian, £115.00 U.K.